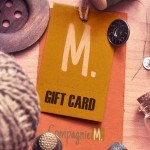 Want to surprise someone with Compagnie M. patterns or workshop as a present? Then a gift card is the perfect solution! 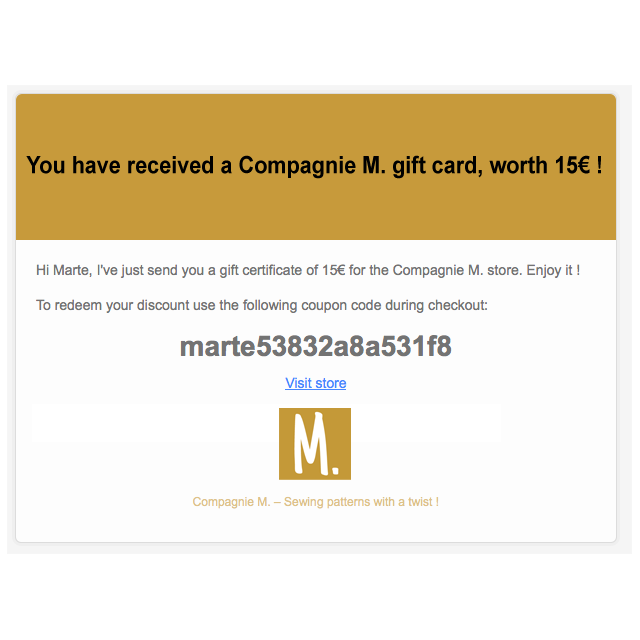 You can select one or more gift cards worth €15, €25, €35 or €50. They are valid for one year and can be spend on all our patterns and on workshops organised by Compagnie M.
These gift cards can be send to yourself or directly to the happy receiver. Select the value of gift card you prefer in the drop down list. We have €15,€25,€35 or €50 gift cards available. For bigger amounts you can buy several gift cards at once. 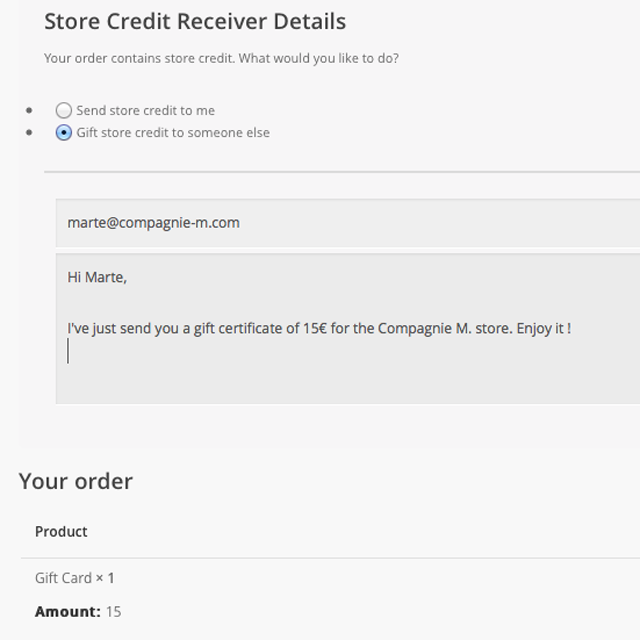 During the checkout process you can select whether to send the gift card to yourself or to somebody else. 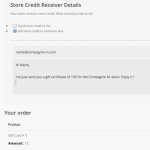 Just fill out the email address and a message for the receiver. 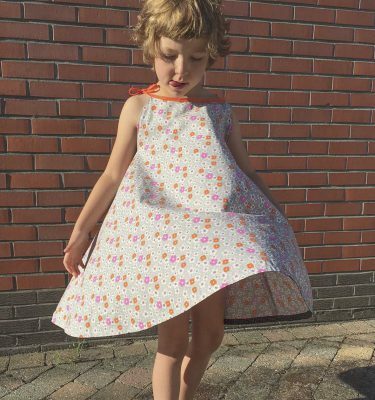 The confirmation email will contain an unique coupon code that can be used in the shop to buy patterns or to book a workshop. All gift cards are valid for 1 year. To use your gift cart, you need to log-in first. 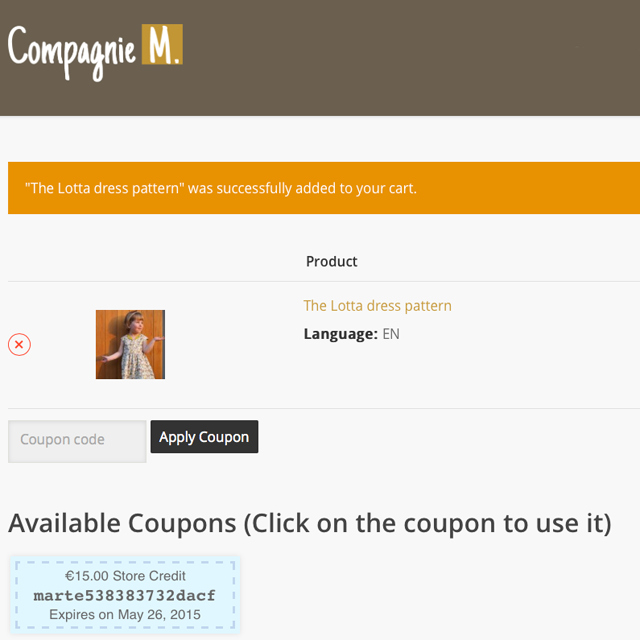 After you’ve added an item to your cart, the coupon code will be displayed. Click on your coupon to use it. The discount will be shown as ‘order discount’ on your final checkout. You can check your balance by logging-in to My account on our website.